Wyandanch, New York, USA. March 26, 2017. 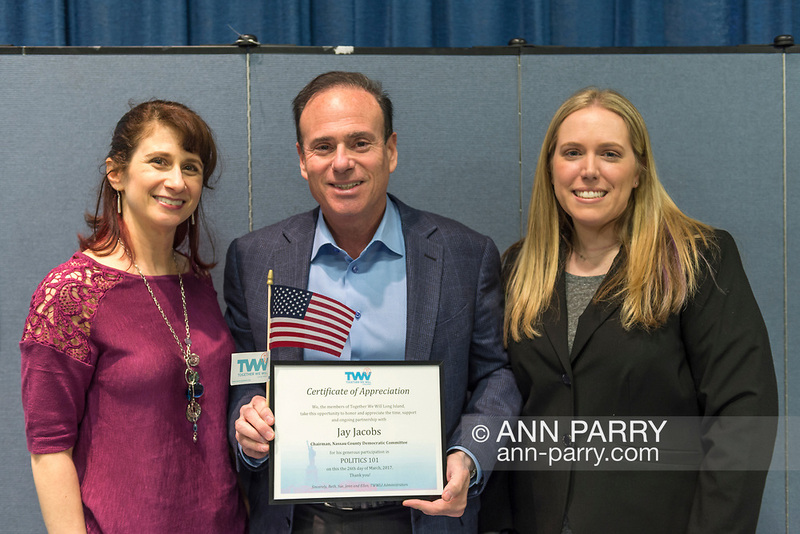 At center, JAY JACOBS, Chairman of Nassau County Democratic Committee, holds Certificate of Appreciation and American Flag presented by, (L) BETH MEHRTENS McMANUS, and (R) SUE MOLLER, two administrators of Together We Will Long Island. Jacobs spoke at Politics 101 event, the first of a series of activist training workshops for members of TWW LI, the L.I. affilitate of TWW.